This week at the elementary school is Teacher Appreciation week. The school has a different theme for each day and the kids can choose to bring in a gift in that theme. Every year we seem to miss it and I think that the next year we’ll make up for it with the next teacher. Well, tomorrow is Friday and we’ve missed this week again, almost. Tomorrow’s theme is “You’re Scent-sational!” and the kids are to bring in anything scented like bath oils, perfumes, candles, or hand sanitizers. 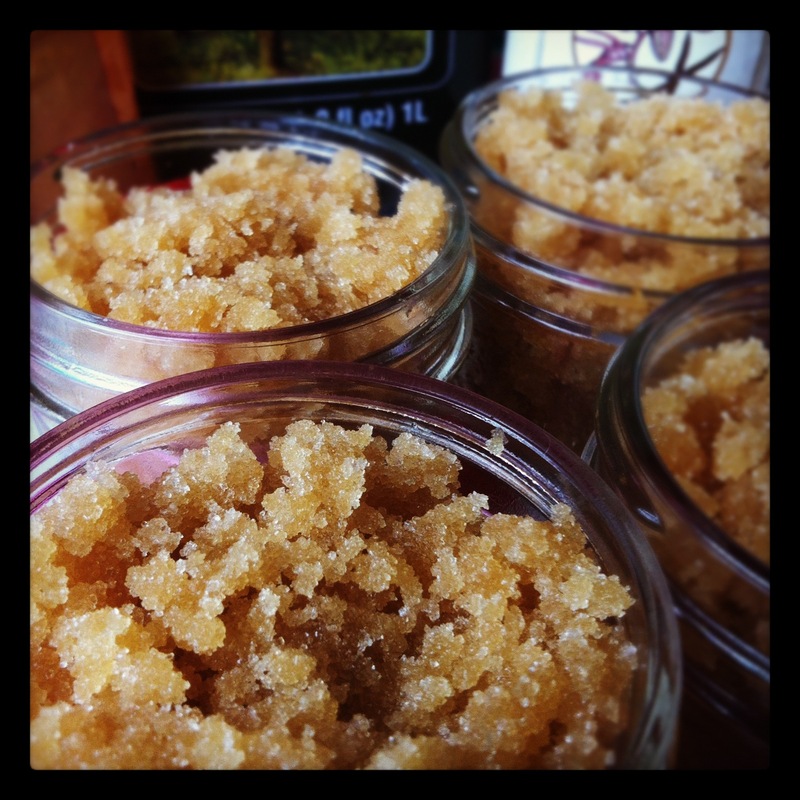 I found on Pinterest a recipe for a homemade sugar scrub, from this website here. It came out better than I imagined, it was easy to make, it made our hands feel soft and smell yummy too. The best part was that all the ingredients were already on hand, so no need to shop for anything. 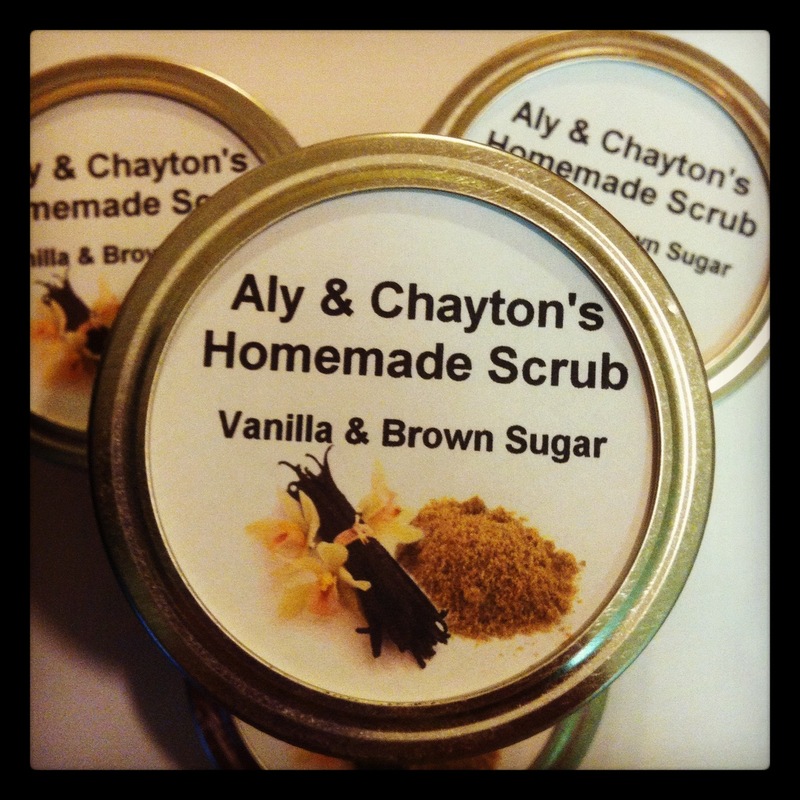 The ingredients are as follows: White sugar, brown sugar, olive oil, and vanilla extract. That’s it! Mix equal parts white sugar and brown sugar. Add the olive oil to the top of the sugar mixture and stir it together, making sure all the sugar and oil combine. I then added around a tablespoon of vanilla extract, it may be too much but we were getting heady with excitement. Plus I let the kids each take a turn pouring and they all wanted to add the vanilla so I had to eyeball it into thirds. I scooped the mix into four 4 oz jelly jars I had laying around, see, didn’t have to buy anything for this! We had enough to fill one more jar, but we all tried it out and left a little by the sink to use tomorrow too. My hands still smell a little like cookie dough. This entry was posted in Crafts, Instagram, Project 366 and tagged appreciation, brown sugar, gift, Instagram, olive oil, project 366, recipes, sugar scrub, teacher, vanilla. Bookmark the permalink.